These classic style shorts have a faux fly and cargo pockets on both sides. 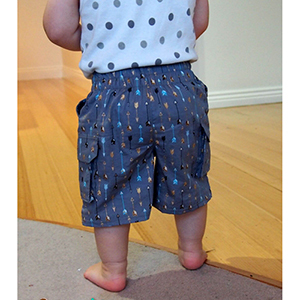 Elastic waistband with knit elastic makes for classy, but super comfortable shorts. 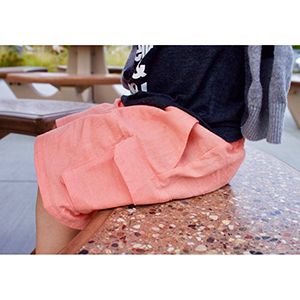 Front top pockets are perfect for small items and store larger treasure in the side cargo pockets. 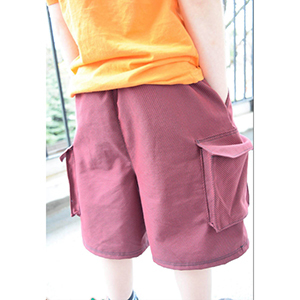 Plenty of pockets for boys who love adventure. Perfect for play or days when you have to dress up. 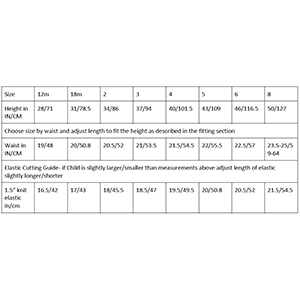 Suggested fabrics are cotton lycra, cotton jersey, french terry, linen, twill, or other cotton wovens.